Xiaomi has announced the Mi Mix 2, which rectifies some of the issues of the original and drops the concept tag. 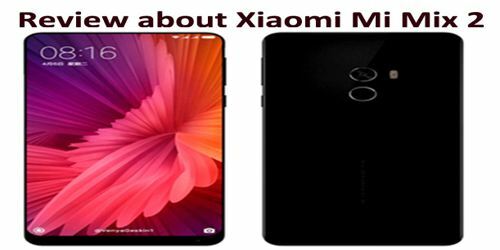 This new model is smaller and more approachable than the first Mix, and it will eventually be available everywhere Xiaomi sells phones (which, sadly, does not yet include the US). It will first be available in China, with prices ranging from from 3299 yuan (about $500) to 4699 yuan ($720). The phone comes with a 5.99-inch touchscreen display with a resolution of 1080 pixels by 2160 pixels at a PPI of 403 pixels per inch. It is powered by octa-core Qualcomm Snapdragon 835 processor and it comes with 6GB of RAM. The phone packs 64GB of internal storage that cannot be expanded. 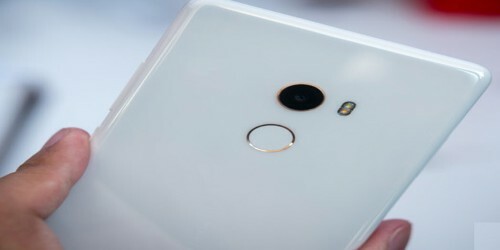 As far as the cameras are concerned, the Xiaomi Mi MIX 2 packs a 12-megapixel primary camera on the rear and a 5-megapixel front shooter for selfies. The Xiaomi Mi MIX 2 runs Android and is powered by a 3400mAh non removable battery. It measures 151.80 x 75.50 x 7.70 (height x width x thickness) and weigh 185.00 grams. It is a dual SIM (GSM and GSM) smartphone that accepts Nano-SIM and Nano-SIM. Connectivity options include Wi-Fi, GPS, Bluetooth, 3G and 4G. Sensors on the phone include Compass Magnetometer, Proximity sensor, Accelerometer, Ambient light sensor, Gyroscope and Barometer. Design and Display: The original Mi Mix was just too big, despite its near bezel-less design. But that has changed for the better with the Mi Mix 2, while still retaining what made the Mi Mix such a fascinating phone. 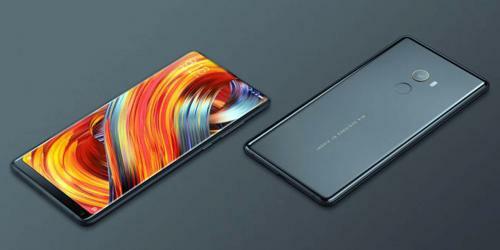 The updated design brings with it rounded corners and sides, a frame that is made with an aluminium alloy, and a ceramic backing that Xiaomi loves to use with their premium smartphones. All of this makes for a phone that is still really nice to look at, and feels much better in the hand due to its smaller overall footprint when compared to its predecessor. Another change from generation to generation may not be to everyone’s liking though, with the Mi Mix 2 not coming with a headphone jack. The Xiaomi Mi Mix 2 comes with a 5.99-inch display with a Full HD+ resolution and 18:9 aspect ratios. The display quality is excellent, and the absolutely minimal bezels around it let the screen really shine through. Processor and Software: The newly launched Mi Mix 2 is powered by an octa-core Qualcomm Snapdragon 835 processor clocked at 2.45 GHz. It also has 6GB RAM as opposed to 4GB RAM on the standard Mi Mix. Xiaomi has launched the Mi Mix 2 with MIUI 9 based on Android 7 Nougat which is better than MIUI 8 based on Android 6.0 Marshmallow in Mi Mix. 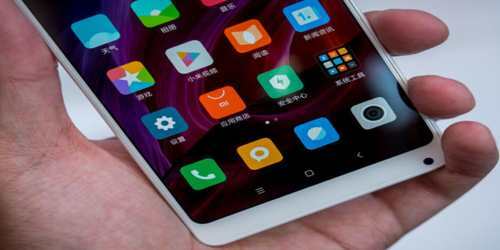 The MIUI 8 has features like dual apps and dual spaces so it is expected that the new UI may offer much improved features. Camera: The Mi Mix 2 sports a 12-megapixel camera with dual tone flash and a 5-megapixel front shutter with facial recognition. On the back, Xiaomi is using the superb Sony IMX 386 sensor with 1.25 um pixels. This alone is quite a big update because the original Mi Mix had a horrible 16-megapixel camera so no matter what Xiaomi did the camera was bound to be better, but this is a huge update. The front camera retains the same 5-megapixel resolution but only time will tell if it also is a big update. 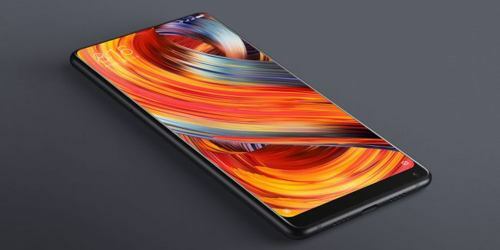 Battery: The Xiaomi Mi MIX 2 runs Android and is powered by a 3400mAh non removable battery. It is smaller as compared to Mi Mix that has a 4400mAh battery to fuel it up. However, both the phones have the Quick Charge 3.0 that promises to increase the charging speed by 20%. Others: The Mi Mix 2 also has a special edition variant. 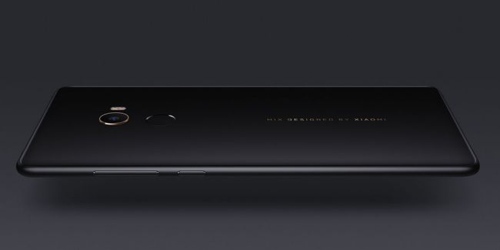 While the standard phone comes with a 6GB RAM that can be coupled with 64GB, 128GB and 256 GB storage capacity, the special edition features a 8GB RAM combined with a storage space of 128GB. Sadly, the storage cannot be extended just like Mi Mix. The Mi Mix 2 also comes with global LTE support having a deck of 6 modes and 43 bands. Overall, a user really like about the Mi Mix 2 is that it takes a lot of the same cues from its predecessor while making it more accessible. The phone is a lot easier to handle even with a 6-inch screen, which alleviates one of the major concerns from last year. The rounded sides and corners, curves along the back, and ceramic body not only make for a phone that looks incredible, but feels very comfortable in the hand as well. Xiaomi continues to use ceramic to great effect, but the key here is the fact that it definitely feels like you are holding a device that is all display, all the time.